Donna Margherita. 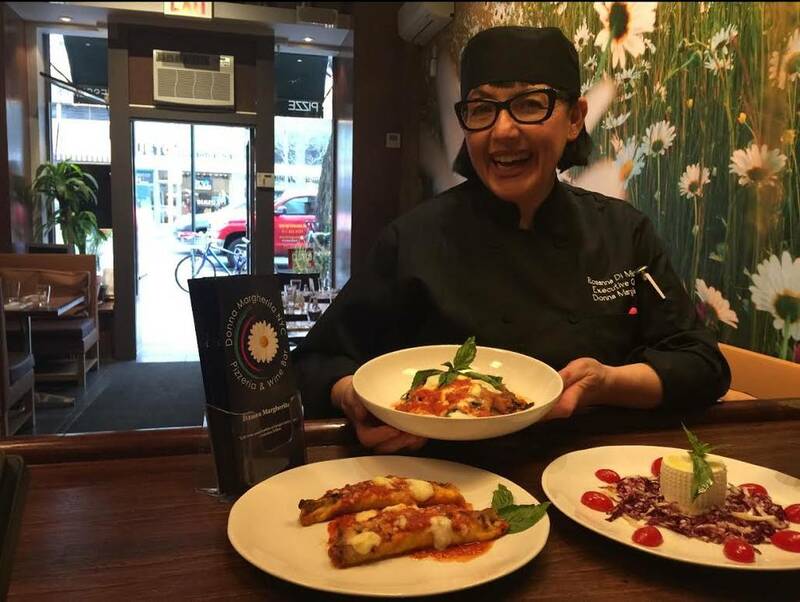 Below: Executive Chef, Rosanna Di Michele. 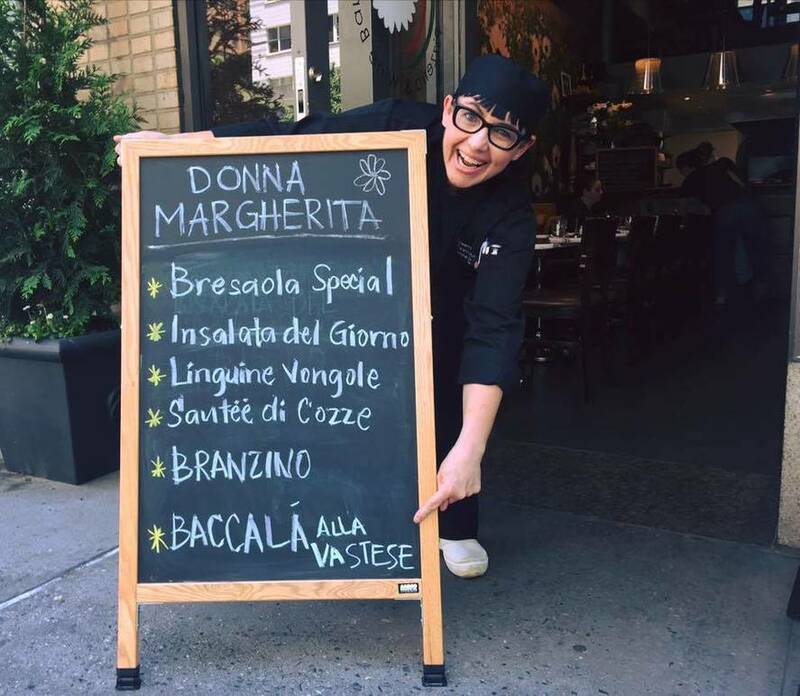 Two blocks from the 2nd Avenue Subway’s 72nd Street station is Manhattan’s latest Italian dining gem, Donna Margherita. Inside this inviting space, the walls are covered with daisies and a classic Vespa sits above the entryway. Up the spiral staircase you’ ll find an intimate dining balcony. The restaurant’s cozy interior is complemented by today’s best Italian music playing in the background. But setting is only one component of the great dining experience at Donna Margherita. At the opening night party, guests got to meet the people who make Donna Margherita possible. 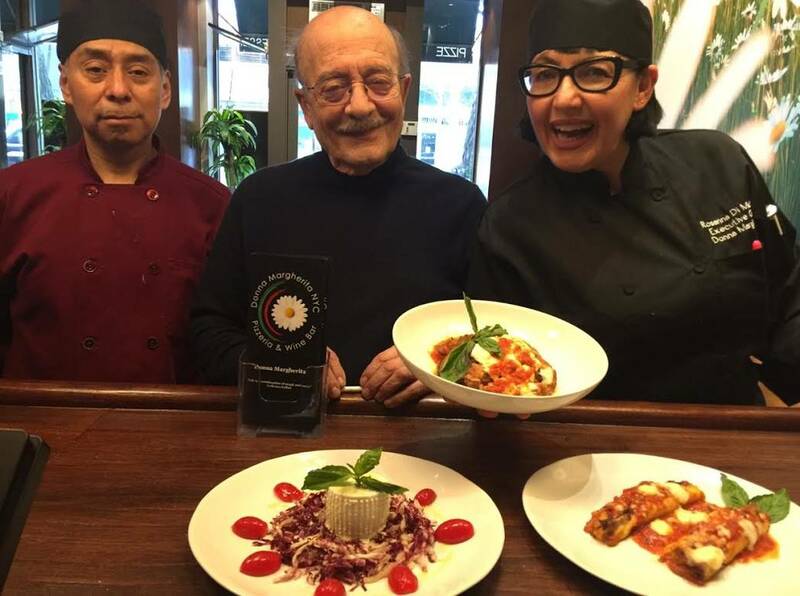 Executive Chef Rosanna Di Michele of Abruzzo and owners Pino Manica and Lucia Barletta showed some of their aces in the hole, treating guests to simple yet delicious crostone rus- tico, a killer eggplant parmesan and a mouthwatering lasagna with ragù. One of the night’s biggest hits was the pizza. 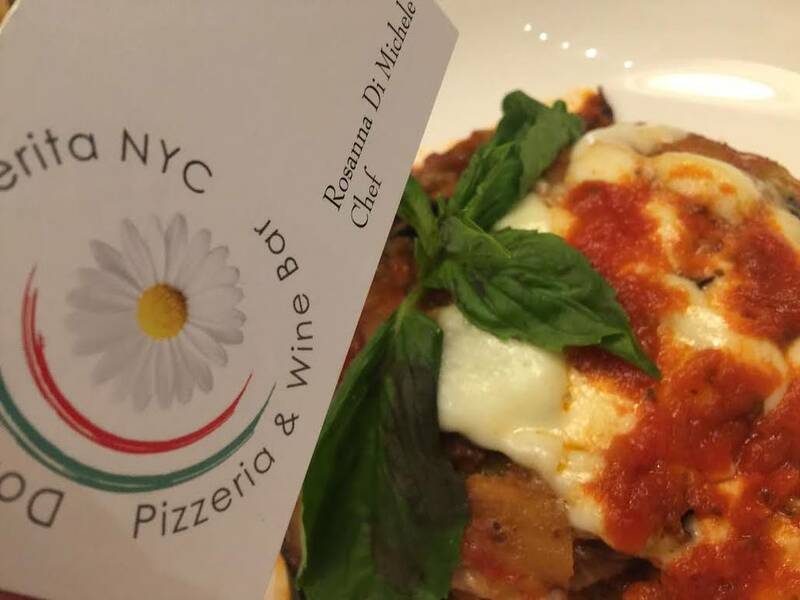 If you’ve never been to visit Italy and are wondering what pizza tastes like in the motherland, Donna Margherita will satisfy your curiosity. Delicious, authentic pizzas are cooked in the oven behind the front counter. Napoli-lovers will be pleased to know the oven is handcrafted by Naples’ own Marra Forni. 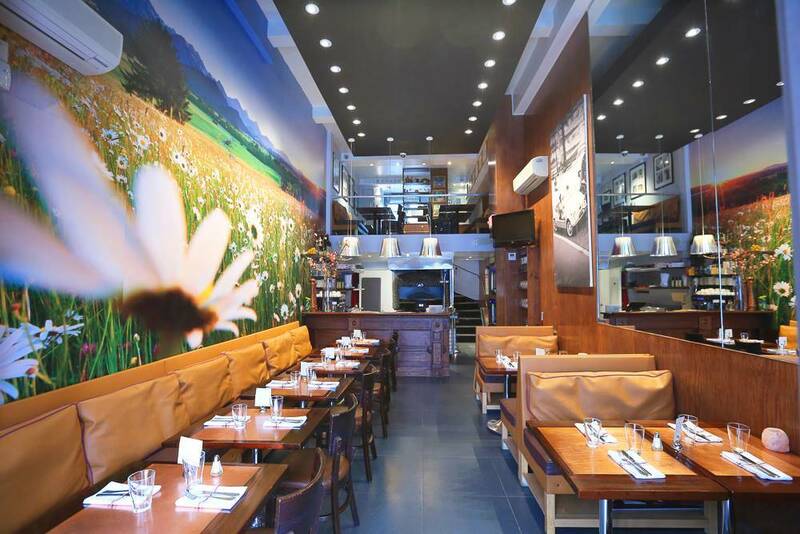 As with any good pizzeria, Donna Margherita offers a wide selection, including children’s pizzas. 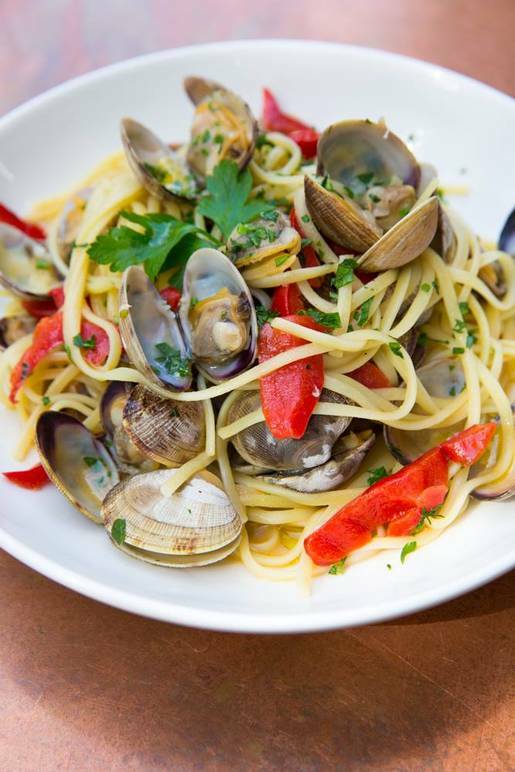 How did such an authentically Italian joint find itself on Second Avenue? For Rosanna, meeting Lucia and Pino felt like fate. Even the name “Margherita”—one of her daughter’s names—was a good omen! Family is a great inspiration for Rosanna, whose passion for cooking was passed down to her from her parents. 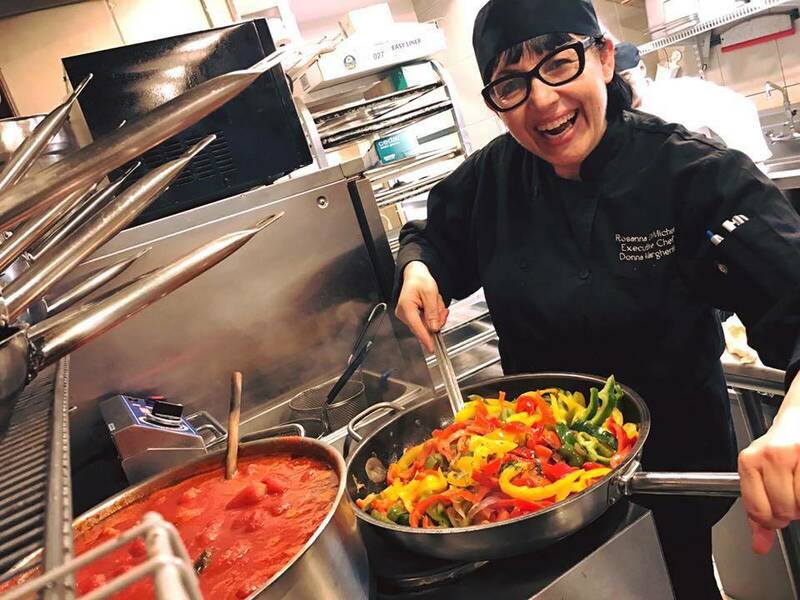 She’s able to conserve the tastes of Italy thanks to her use of the freshest ingredients and follow- ing the antique recipes she has been learning to cook in Abruzzo since she was a little girl. 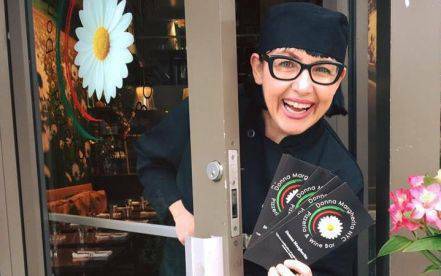 There’s a special alchemy between Rosanna and the food she cooks, a mysterious magic that makes you taste the dishes exactly as you would savoir them in Italy, at Rosanna’s home in Vasto. So if you’re looking to feel as if you’re in a true Italian household, come on down (or up) to Donna Margherita! 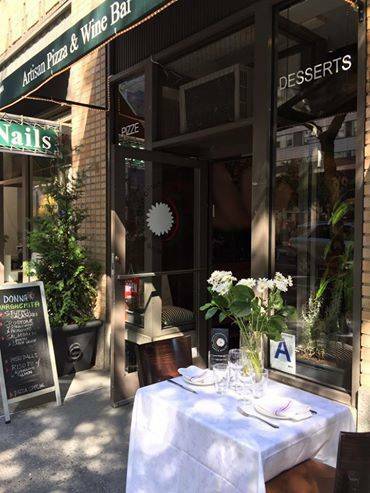 The owners, the chef, and the staff will make sure that your dining experience is absolutely delectable.